BRADFORD (Park Avenue)’s promotion bid took another hit as Kidderminster Harriers won a tight game by a rather misleading 3-0 scoreline at Aggborough. 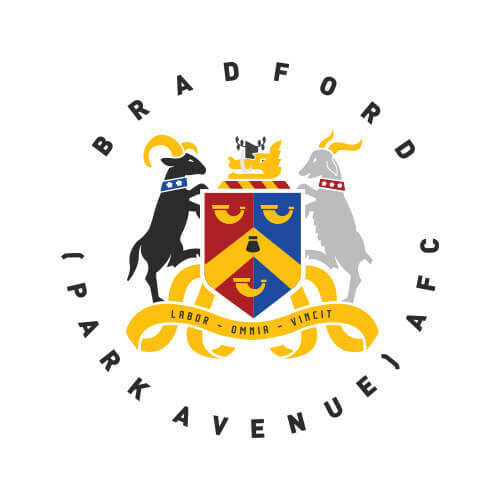 Defeat to the fellow play-off hopefuls dropped Park Avenue down to sixth in the National North table. If FA Trophy semi-finalists AFC Telford win their game in hand the Bradford club could be down to seventh. They would still be in the play-off places – above Kidderminster by six points – but Mark Bower’s men would have the hardest route to promotion. That scenario is staring Avenue in the face after a big defeat in a close game, which highlighted their recent bad luck. Kidderminster are a good side and are also perennial promotion contenders. They are also tough to beat at home and took their chances to bank a maximum despite the visitors playing well and creating chances. Danny East threatened home keeper Brandon Hall’s goal before the Harriers took a 17th minute lead. Avenue keeper Charlie Andrew reacted well to Ashley Chambers’ volley but could only parry the ball upwards, and Joe Ironside nodded in. Avenue had big chances on the half-hour mark and just five minutes later. A 30th-minute corner was met by Romoney Critchlow-Noble but his downward header bounced wide. Soon after, Alex Hurst broke through with only Hall to beat, but the home keeper got a big hand to Hurst’s effort and former Guiseley centre back Harry Flowers cleared the danger. Bower’s words of encouragement during the break were still ringing in his players’ ears when they forced an early second-half corner that East just failed to convert. Avenue’s leading scorer Jake Beesley had an effort soon after which was hooked off the line by Kidderminster winger Milan Butterfield and East’s attempt from the rebound was saved by Hall. Nicky Clee and Conor Branson put chances off target before substitute Oli Johnson watched his effort, following a free-kick, tipped over by Hall. Harriers’ Ed Williams hit the woodwork with a shot but Avenue responded with chances for Johnson and Lewis Knight that both sailed just over Hall’s goal. Kidderminster twisted the knife by adding a third when a corner was recycled by Butterfield. The ball eventually found Liam McAlinden whose deep cross was headed past Andrew by Ironside.